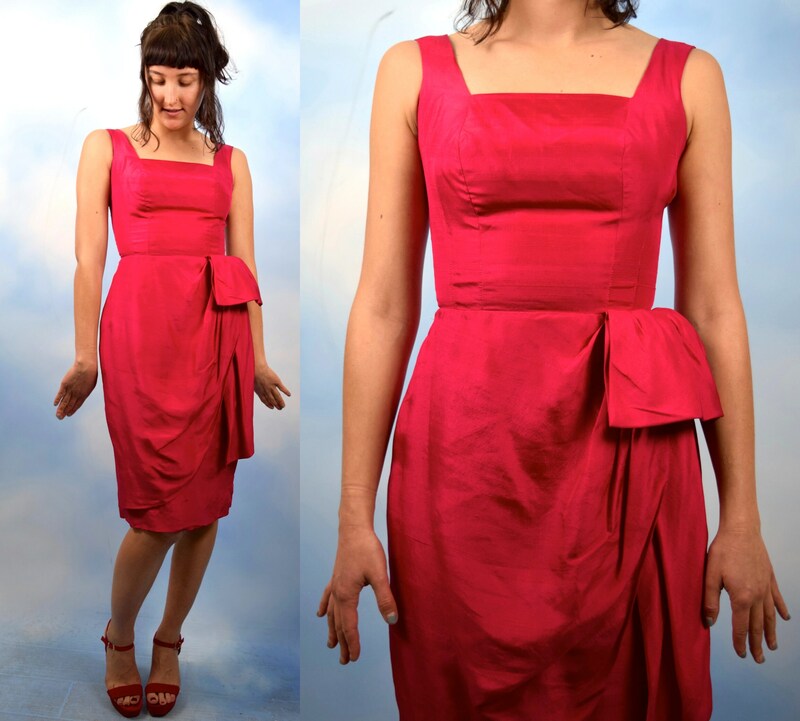 Raspberry red silk box neck wiggle dress. Fully lined in coordinating satin. 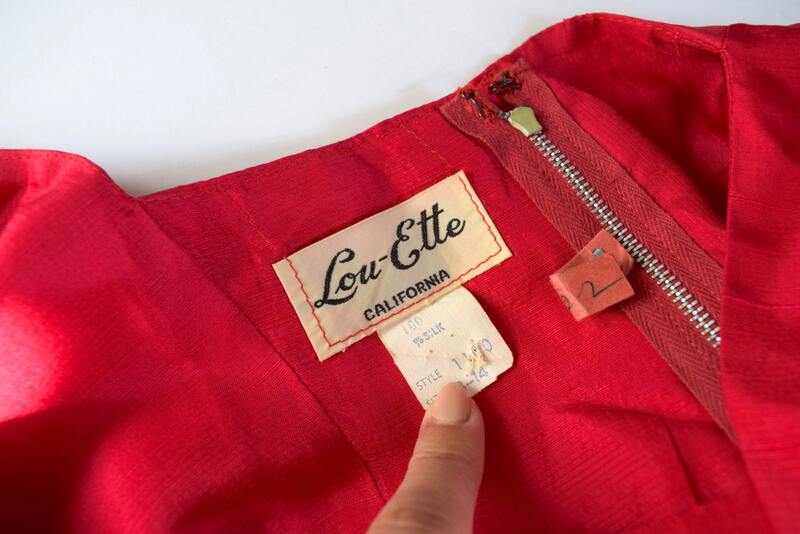 Metal zipper up the back.